I’ve lived with widespread body pain for more than a decade. However, I’m one of the lucky ones. I don’t have pain in my hair or my scalp. Lately, I’ve seen pictures on Facebook of women who’ve saved their heads. They did this, they said, because of hair pain. This problem appears to be a lot more widespread than I ever imagined. I threw out a question to people on my Facebook page, about hair pain. The response was surprising, because so many people answered. A fair number of community members reported that their hair hurts. My heart goes out to them. I want to help. But I have no personal experience with painful hair. What would I do if my own hair hurt? I wouldn’t use essential oils, my “go-to” natural pain relievers. I might use herbal anti-inflammatory remedies, in hopes they’d dull the pain. However, I know that herbs alone probably wouldn’t solve this problem. The only thing I’d expect to work was some sort of energy medicine. One of the things that’s been immensely helpful is homeopathy. I can’t even begin to tell you how much this natural healing method has helped. On my own, I’ve used and studied homeopathy for nearly 20 years. I’m not a professional, so I can’t give advice on what remedies to take. But I can offer some general advice on how to use homeopathy and how to find a good homeopath. If my own hair hurt, I’d find a professional homeopath. Unfortunately, good homeopaths are hard to find. But, when you find one, it’s like you’ve struck gold. One of the best ways to find a good practitioner is to ask someone who works at your local health food store. Another option is to ask a chiropractor you trust. An acupuncturist may also know of a good homeopath. Acupuncture is also energy medicine. So it’s possible this could relieve the unusual symptom of painful hair. I’m a big fan of energy medicine, including homeopathy, acupuncture and chiropractic care. I stay away from Reiki because it conflicts with my Catholic religious beliefs. 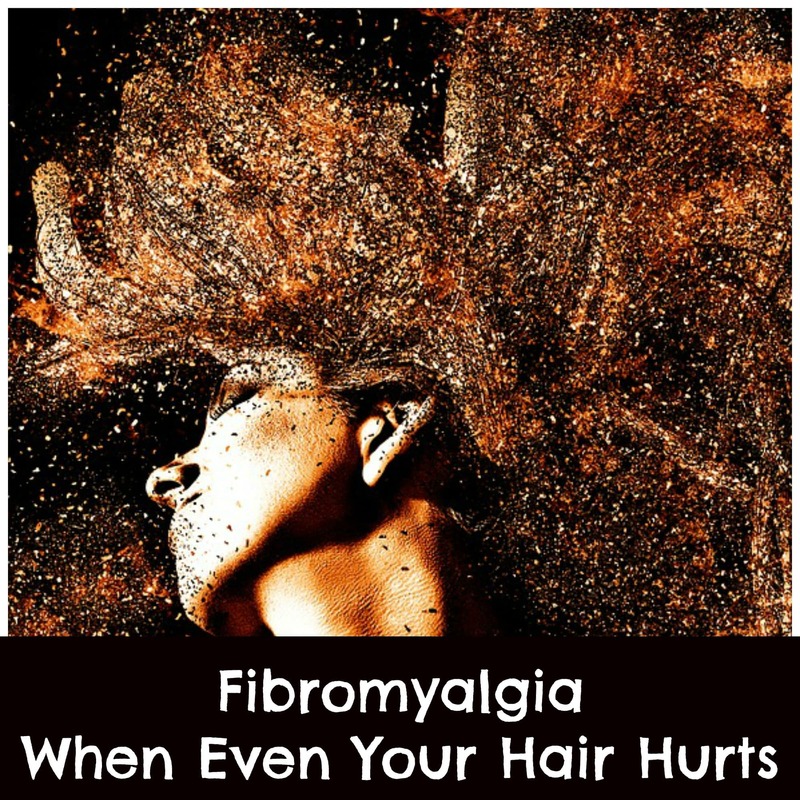 Hair that’s painful to the touch is an unusual symptom, despite the fact a surprisingly (at least to me) large number of people with fibromyalgia are bothered by this. My homeopathic Medical Reperatory has a section for “Constitutions,” in which hair is listed as a category. Under this is a section for hair that is painful to the touch. Only four remedies are listed in bold. That means these are the most likely choices. Slightly more than a dozen are in small bold print. These are the next most likely remedies that can help. There are also more in light print, which have been used for painful hair. Using the unusual symptom of painful hair, along with other symptoms, would help a homeopath find the right remedy for you. It’s important to use remedies judiciously. This is possibly even more true for those of us with chronic pain. When I’m taking a remedy, I can only repeat it once or twice at the very most, before switching to another remedy. Otherwise, I’ll start “proving” the symptoms. If I had painful hair, I’d definitely turn to homeopathy. If I absolutely couldn’t find a professional homeopath, then I’d probably visit an acupuncturist. I’d also do everything possible to get as healthy as possible, so these treatments have the best chance of working.